Nenad Knežević "Knez" (Ненад Кнежевић) was born 5 December 1967 in Cetinje, Montenegro. He was studying in the capital city of Montenegro Podgorica (then Titograd) and at the age of 6 debuted there on the Naša Radost Festival with "Bio jednom jedan lav". After it he became a soloist in children's choir Suncokrili. Whilst in high school, he started his first band, Visoka frekvencija (English: High Frequency), with guitarist Leo Đokaj. With the band, he wrote the songs "Da l' si ikada mene voljela" and "Kao magija" that would later became his greatest hits. After high school, he was a member of group "Milan i Luna". Later, he established The Moon Band, which played on the Montenegrin coast, and subsequently the "Montenegro Band" with his father, Milija Knežević. In 1992, Knez began his solo career and appeared at the Belgrade Pop Festival, Mesam, with the song, "Da l' si ikada mene voljela". In that same year, Knez recorded his first album, "Kao magija", with the help of former band member, guitarist Leo Đokaj and songwriters, Ljubo Jovović and Zlatko Jovović. The CD brought him many national awards: album of the year (PGP-RTS), Oskar popularnosti, Zlatni hit (TV Novosti), Zlatna kaseta (NS Plus), Zlatna palma, Melko etc. In 1996, Knez recorded his second album, "Iz dana u dan". In 1997, Knez recorded his third album, "Automatic". This album was the highest-selling album. The biggest concert he had in his career was in Sava Center. Also from that time were marked Rambo Amadeus cooperation with the hit "Đed Niko" and actor Branislav Lečić with "Bubamara". In 1999, a compilation was released under the name, The Best of Knez, which included 18 old songs, 2 new songs, "Nijedna žena na svijetu" and "Ti ne znaš ko sam ja", and a remix of "Kao magija". In 2000, he competed in the Budva 2000 Festival with the song, "Vjeruj", which won the first place. He followed this success with a tour in Serbia, Montenegro, Bosnia and Macedonia as well as several concerts in Australia, USA, Canada and Western Europe. His further discography included "Daleko, visoko" (2000), "Ti me znaš" (2003), "Vanilla" (2005), "The best of Knez - Balade" (2006); "Otrov i med" (2008) and "The Magic Of Balkan" (2012). In 2010 Knez participated in the Serbian version of "Survivor" program that had to survive and live on a desert island with other celebrities of various kinds in Serbia. 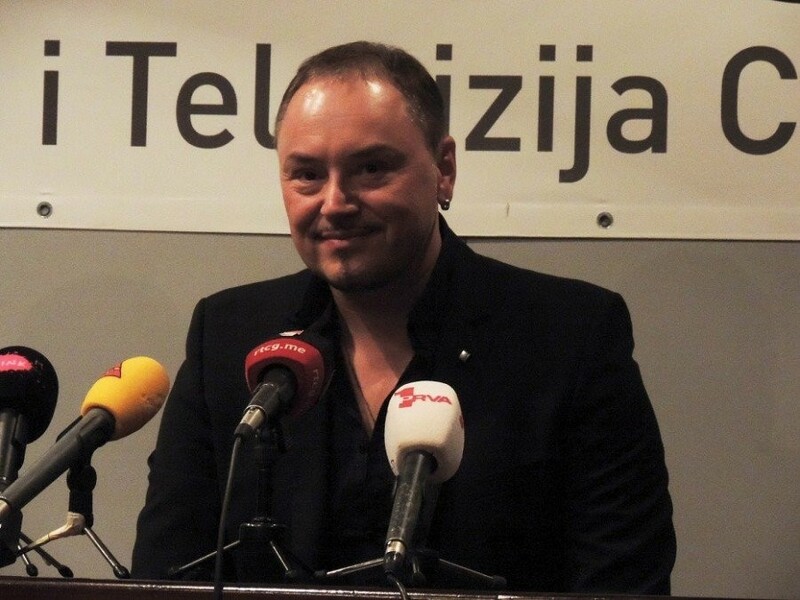 In 2013 Knez he took part in the show "Tvoje lice zvuči poznato" (Your Face Sounds Familiar) on Serbian television. In 2014 he has appeared at Pink Music Festival with "Donna". 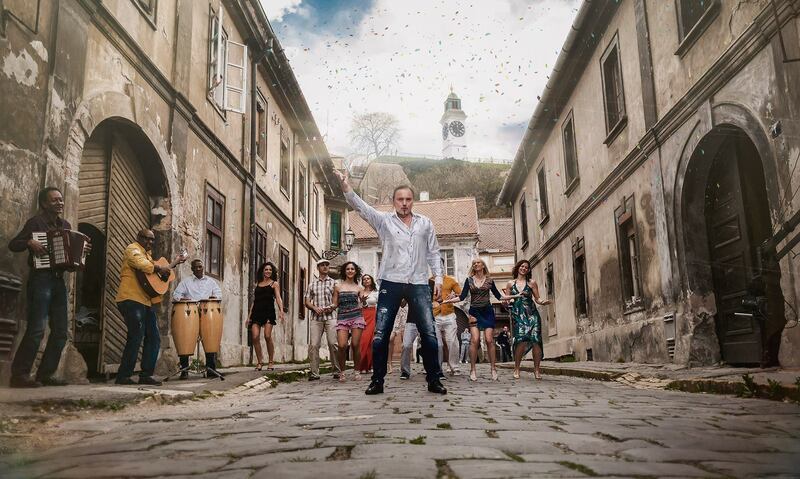 In the spring of 2015 Knez plans to release his 11th music album. Songs on the album will be pop, with a touch of rock and Mediterranean spirit. First single from the new album is "Znam da nisi ona". 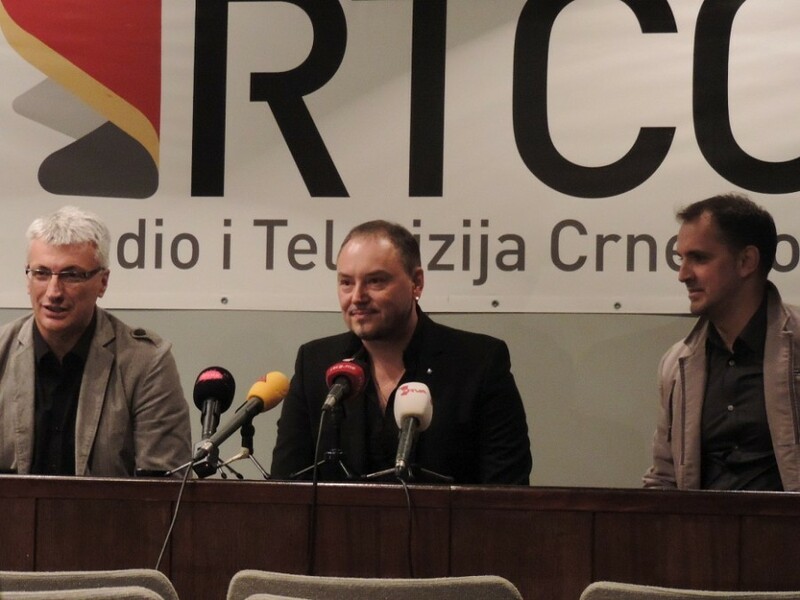 At a press conference on 31 October 2014 in Podgorica, RTCG presented Knez as the Montenegrin entrant for the Eurovision 2015 contest. Another candidate considered by RTCG for the competition was band Perper. 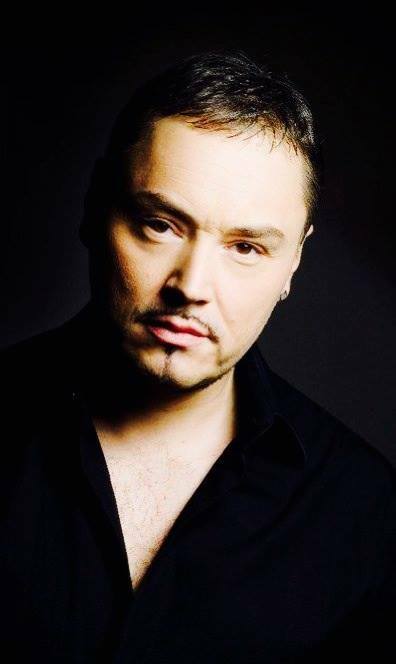 Knez previously attempted to represent Montenegro at the Eurovision Song Contest in 2008 where he placed 3rd in an artist selection round and Serbia and Montenegro in 2004 where he placed 17th in their national final with the song "Navika". "I was not so surprised by the invitation to represent Montenegro at the Eurovision Song Contest, since it is known that I am a passionate fan of the competition," Knez said. He noticed that the competition would be extremely tough next year, because, in addition to some European countries that have been absent from the Eurovision Song Contest, the Balkans back "in the game". 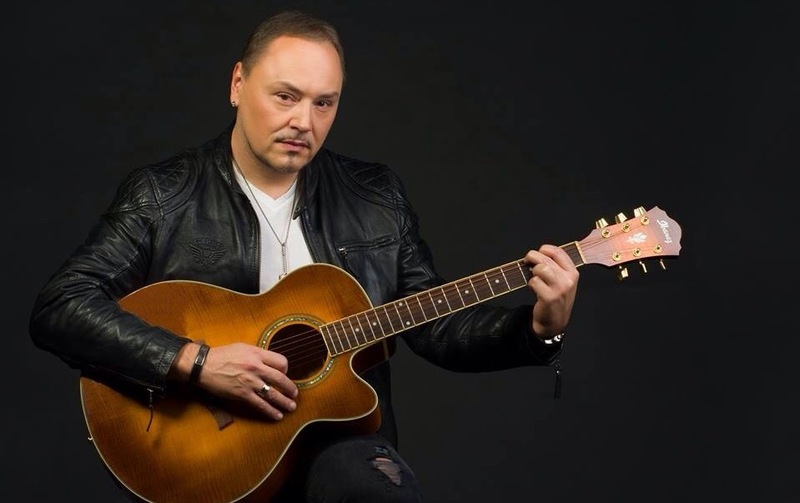 Knez said that it could create additional pressure as last year Sergej Cetkovic set high standards by qualifying in the final, and would have a word with him about his performance at the Eurovision Song Contest. "I'll give all of myself, all my professionalism, experience and knowledge. I hope that the composition will present Montenegro in the right way"
Knez announced he would have a great team, even the financial situation is not great. "There is always deficit of money, I am sure we will manage more through personal contacts, but we will work diligently to get everything right," he said. The famous singer explained that he has not yet decided what will be the song about, but also the Balkan ballad singers in previous years had more success at the Eurovision Song Contest. "I have noting against a quick catchy song, but we'll see," Knez said, and added that would do more to create something Europe should like, because the composers from this area in previous years tried to animate only the Balkans. The singer said he was considering how to sing in English, which speaks well, but it was not definitely decided. Knez's Eurovision entry and videoclip will be presented in March. For the New Year Knez had recorded greetings to Eurovision fans in Montenegrin, Russian, English and French languages, that can be seen on his official Youtube channel. 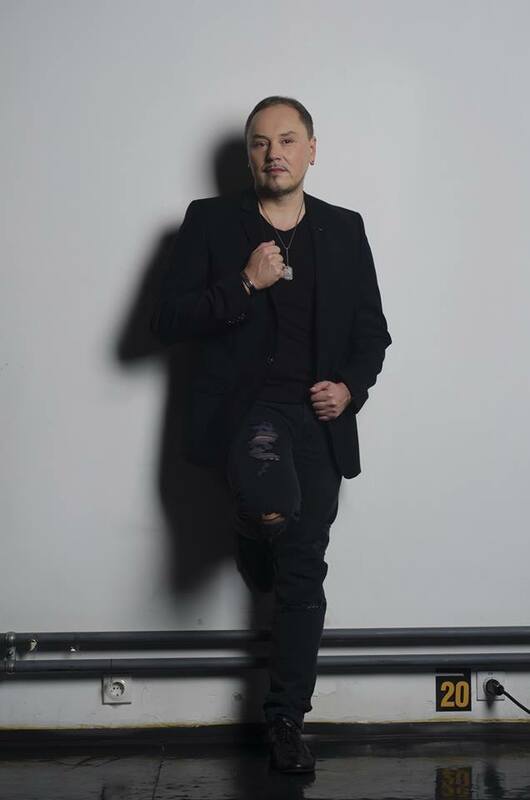 On 18 February it was reported by newspaper Kurir that Montenegrin entry has been composed by Željko Joksimović, participant of ESC 2004 and 2012 and songwriter of Serbian entry 2008 and Bosnian entry 2007 and host of the show in 2008. "It is true that I got a call from the Montenegrins and for me that is a big challenge. Every year I get a lot of calls to write a composition for the Eurovision Song Contest. This year I got a call from three countries. Although I am in the final stages of working on my new album, offer of Montenegro is something that I could not deny". The information has been immediately confirmed by RTCG and Knez himself. "I am happy to finally get in the studio and start working on the song for Eurovision. For me it is a special honour, as the song has been written by Zeljko Joksimovic whose quality and knowledge can't be described".. The song will be, somewhat faster and more cheerful "than those we are used to.". "It will be a nice surprise. Ahead of us is hard work that we have to do in the short time", says Knez. "Adio" has been composed by Zeljko Joksimovic on lyrics of Marina Tucakovic & Dejan Ivanovic and produced by Zeljko Joksimovic at Minacord Production. Studio recording features backing vocals of Olga Vulovic, Suzana Brankovic, Dunja Vujadinovic, Ivana Vladovic and Jelena Pajic. Guitars: Aleksandar Sedlar, Violin: Mirjana Neskovic, Prim: Rastko Aksentijevic. Music video has been produced by IDJVideos™ and directed by Andrej Ilic. Video features vocalists: Dunja Vujadinovic, Jelena Pajic, Ivana Vladovic, Ksenija Knezevic, Andjela Vujovic, Violin player: Mirjana Neskovic, Saz player: Sanja Stojanovic. The 2015 Montenegrin Eurovision representative Knez has released the English and French versions of his Eurovision entry Adio. You can listen to them here. Montenegrin singer for this year's Eurovision Song Contest, Nenad Knezevic Knez, has started the rehearsals for the competition in Vienna. Together with his enthusiastic team, Knez is preparing an interesting and a very emotional performance for the European audience that will be presented during the second semifinal on May 21st, and hopefully, during this year’s final. With less than 3 weeks left until the competition, along with many promo activities, Knez is trying to rehearse whenever he has time. He is accompanied by five beautiful and talented female vocals that will join him on the Eurovision stage: Dunja Vujadinovic, Lena Kuzmanovic, Ivana Vlahovic, Jelena Pajic and Ksenija Knezevic. "Participating at the Eurovision for Montenegro is one of my biggest dreams, and I can’t be enough thankful to RTCG that called me. Eurovision Song Contest is the biggest music conest in the world and such a pleasure to be part of it. I can't wait to arrive in Vienna"
Ksenija Knezevic is the youngest backing vocal. She finished music school and now she is studying in Belgrade high school of Design. Ksenija was the 5th in Serbian national selection for Eurovision, back in 2013 on Beosong, together with a girl group Sky’s, with the song "Magija". Lena Kuzmanovic graduated violin at the Academy of Music in Belgrade. She has been a member of the National Theater Opera in Belgrade for 9 years. She performed alongside worldwide famous artists such as Jose Carreras and Luciano Pavarotti. She did the backing vocals for many concerts of regional artists: Zeljko Joksimovic, Sergej Cetkovic, Zdravko Colic, Lepa Brena etc. Apart from live concerts, Lena did projects for TV Shows, music videos and music for films. Ivana Vlahovic has been a professional vocalist for 10 years and a backing vocalist for over 5 years. She cooperated with many popular regional singers: Severina, Toni Cetinjski, Marija Serifovic, Sasa Kovacevic etc. She worked for several TV projects and commercials, and also participated in a musical talent show called Prvi Glas Srbije. Jelena Pajic graduated management in Boston college, USA. After, she worked in one of the most famous New York recording studios – Quad. She started her career as a backing vocalist for a Bosnian singer, Hari Mata Hari, and later continued with Zeljko Joksimovic, Ana Stanic, Kemal Monteno. She has done more than 200 studio recordings for albums of singers such as: Marija Serifovic, Aleksandra Radovic, Lexington Bend, Lepa Brena etc. Dunja Vujadinovic has beena professional backing vocalist since 2008, when she started singing with Serbian pop singer Aleksandra Radovic. She worked with Emina Jahovic, also, Marija Serifovic, Aca Lukas, Ceca Raznatovic, Tropiko bend. Dunja participated as a backing vocalist for the Serbian entry at Eurovision in 2013 – Moje tri, where she wrote the English version of Eurovision song “Ljubav je svuda”, Love is all around. She competed in a talent show, Prvi Glas Srbije, and did many other TV projects. Montenegrin entry for Eurovision Song Contest 2015 will be officially presented on Saturday 21 March in Podgorica, with a live broadcast on TVCG1. Nenad Knežević Knez will perform song "Adio", composed by Željko Joksimović, with lyrics of Marina Tucaković and Dejan Ivanović. "I am very pleased with the song with which I will represent my country and I can say that the reactions of those who had the opportunity to hear it are very positive, so we share optimism that in Vienna we can achieve a good result," says Knez. He added that he believes the domestic and international public will recognize the professionalism of the entire creative team. During the next week will be completed also the music video that this time will be filmed in studio. "A lot of work awaits us. We will try to do our best to further introduce our song. We plan to attend Eurovision parties in Amsterdam and London, the organizers of both events bear the costs of travel for all participants, " said Knez. "Our wish is that, first of all, to showcase us in the best possible way in Vienna, and the people who are in our delegation with their experience and creativity will certainly contribute to realization of this plan. We will try to cover all the costs of participation in the project with the help of sponsors, who recognize importance of good promotion of the country through it". Team of ORF has recorded postcard with Nenad Knezevic Knez at locations of Montenegrin "metropolis of tourism" - Budva. "It was a nice experience and the beginning of what follows in Vienna," says Knez. "In addition to the team of Montenegrin Television I'd like to express my gratitude for participation in the shooting of the postcard also to the Post Office of Montenegro which has helped us with some of their workers,". The second part of "postcard" will be likely filmed next month in Austria. Ненад Кнежевич "Кнез" родился 5го декабря 1967 года в Цетине, Черногория. Он учился в школе в столице Черногории Подгорице (тогда носившей название Титоград) и в возрасте 6 лет дебютировал на сцене фестиваля "Naša Radost" с композицией "Bio jednom jedan lav". После этого он стал солистом детского хора Suncokrili. Еще в школе Кнежевич собирает вместе с гитаристом Лео Джокаем свою первую группу "Visoka frekvencija". С ней он написал такие песни, как "Da l' si ikada mene voljela" и "Kao magija", которые позднее стали крупными хитами. После окончания школы, Кнежевич становится участником группы "Milan i Luna". Позднее он основывает "The Moon Band", выступавшую на побережье Черногории, а также "Montenegro Band", в которой играет вместе со своим отцом Милией. В 1992 году Кнез начинает сольную карьеру и выступает на Белградском фестивале популярной музыки Mesav с композицией "Da l' si ikada mene voljela". В том же году он выпускает дебютный альбом "Kao magija", с которым ему помогли бывший коллега по группе гитарист Лео Джокай, и авторы песен Льюбо Йовович и Златко Йовович. Альбом принес Кнезу множество национальных премий: альбом года (PGP-RTS), Oskar popularnosti, Zlatni hit (TV Novosti), Zlatna kaseta (NS Plus), Zlatna palma, Melko и др. В 1996, Кнез выпускает свой второй альбом "Iz dana u dan". В 1997 году выходит его третий диск "Automatic", который становится его самым продаваемым альбомом. Артист проводит крупнейший концерт в Sava Center. Также к тому времени относятся совместные работы с Рамбо Амадеусом с хитом "Đed Niko" и актером Браниславом Лечичем с песней "Bubamara". В 1999 году выходит сборник лучших песен Кнеза, в который вошли 18 старых хитов и две новые песни "Nijedna žena na svijetu" и "Ti ne znaš ko sam ja", и ремикс хита "Kao magija". В 2000 году Кнез принимает участие в фестивале Budva, где с композицией "Vjeruj" занимает первое место. За этим выступлением последовал тур по Сербии, Черногории, Боснии и Македонии, а также ряд концертов в Австралии, США, Канаде и Западной Европе. Дальнейшая дискография исполнителя включает в себя альбомы "Daleko, visoko" (2000), "Ti me znaš" (2003), "Vanilla" (2005), "The best of Knez - Balade" (2006); "Otrov i med" (2008) и "The Magic Of Balkan" (2012). В 2010 году Кнез принимает участие в сербской версии программы "Последний герой", где различные сербские звезды пытались выжить на необитаемом острове. В 2013 году Кнез принимает участие в шоу "Tvoje lice zvuči poznato" (аналог шоу "Один в один") на сербском телевидении. В 2014 году Кнез выступает на фестивале Pink Music Festival с композицией "Donna". Весной 2015 года он планирует выпустить свой 11й альбом, в который войдут песни в стиле поп, с небольшим налетом рок-музыки и средиземноморского духа. Первым синглом с нового альбома стала песня "Znam da nisi ona". На пресс-конференции, прошедшей 31го октября в Подгорице, телеканал РТЦГ объявил Кнеза представителем Черногории на конкурсе Евровидение 2015. Помимо него рассматривалась также кандидатура группы Perper. Кнез ранее претендовал на участие в конкурсе Евровидение 2008, где занял третье место среди исполнителей в черногорском отборе. Также Кнез выступал на отборе Сербии и Черногории на Евровидение 2004, заняв 17е место с композицией "Navika". "Я не был удивлен приглашением представить Черногорию на конкурсе Евровидение, поскольку известно, что я являюсь большим поклонником этого шоу," заявил Кнез. Певец отметил, что в этом году конкурс будет очень сложным, поскольку к участию в нем возвращаются ряд стран, отсутствовавших в нем в прошлые годы. Кнез также считает, что определенное давление на него накладывает высокий результат (участие в финале) достигнутый в прошлом году Сергеем Четковичем, и он планирует обсудить с ним ньюансы выступления на Евровидении. "Я отдам всего себя, весь свой профессионализм, опыт и знания. Я надеюсь, что моя композиция представич Черногорию с самой наилучшей стороны"
Кнез объявил о том, что к нему присоединится большая промо-команда, несмотря на то, что финансовая ситуация в стране продолжает оставаться сложной. "Всегда существует дефицит средств, но я уверен в том, что мы сможем добиться результата посредством личностных контактов, мы будем работать очень тщательно над достижением поставленных целей," сказал он. Популярный певец объяснил о том, что он еще не определился о чем будет его конкурсная песня, но отметил, что в прошлые годы наибольшего успеха в конкурсе от Балкан добивались исполнители баллад. "Я не имею ничего против быстротемповой песни, но посмотрим," сказал Кнез, добавив, что постарается создать такой трек, который бы привлек к себе внимание всей Европы, а не только Балкан, как это делали предыдущие участники конкурса от стран бывшей Югославии. Певец сказал, что рассматривает возможность выступления на английском языке, которым он в совершенстве владеет, но окончательно этот вопрос еще не был решен. Песня Кнеза будет представлена в марте одновременно с видеоклипом на нее. На Новый 2015 год Кнез записал поздравления поклонникам Евровидения на черногорском, русском, английском и французском языках, которые можно увидеть на его официальном Youtube канале. 18го февраля сербская газета Kurir сообщила, что автором песни Черногории на Евровидении 2015 стал Желько Йоксимович, участник Евровидения 2004 и 2012, автор сербской песни на Евровидении 2008 и боснийской - 2007, а также ведущий шоу в 2008 году. "Это действительно так. Я получил приглашение от черногорцев, и для меня - это большой вызов. Каждый год ко мне неоднократно обращаются с просьбой написать песню для Евровидения. В этом году, в частности, обратились три страны. Хотя я сейчас как раз дописываю свой новый альбом, я не мог ответить отказом на приглашение такого уровня, поступившее из Черногории". Информация была немедленно подтверждена телеканалом RTCG и самим Кнезом. "Я рад, что наконец могу сесть в студии и начать работать над песней для Евровидения. Для меня большая честь исполнить песню Желько Йоксимовича, чьи профессиональные качества и знания не нужно описывать". Песня ожидается несколько более быстрой и веселой "чем то, к чему привыкли слушатели". "Она будет хорошим сюрпризом. А пока нас всех ждет очень много работы, которую нам предстоит выполнить в короткое время", говорит Кнез. Композицию "Adio" написал Желько Йоксимович на слова Марины Туцакович и Деяна Ивановича, спродюсировал Желько Йоксимович в Minacord Production. На студийной записи звучат бэк-вокалы Ольги Вулович, Сюзаны Бранкович, Дуни Вуядинович, Иваны Владович и Елены Пайич, гитара: Александ Седлар, скрипка: Мирьяна Нескович. Видеоклип был снят IDJVideos™, его режиссером стал Андрей Илич. В видео задействованы вокалисты Дуня Вуядинович, Елена Пайич, Ивана Владович, Ксения Кнезевич, Анжела Вуйович, скрипачка Мирьяна Нескович, исполнительница на сазе: Санья Стоянович. Представитель Черногории на Евровидении в этом году, Ненад Кнежевич Knez, приступил к репетициям перед конкурсом в Вене. Вместе со своей командой энтузиастов, Кнез готовит очень интересный и эмоциональный номер для Европейской аудитории, который будет представлен во время второго полуфинала конкурса 21го мая, и, надеемся, финала шоу этого года. В то время как до шоу остается всего три недели, наряду с большой промо-активностью, Кнез пытается уделять внимание репетициям как только у него появляется на это время. На сцене Евровидения с ним выступят пять красивых и талантливых бэк-вокалисток: Дуня Вуядинович, Лена Кузманович, Ивана Влахович, Елена Пайич и Ксения Кнежевич. "Представлять Черногорию на Евровидении всегда было одним из моих самых больших мечтаний, и я не могу быть достаточно признателен телекомпании RTCG за то, что она сделала мне такое предложение. Конкурс Евровидение - крупнейший музыкальный конкурс в мире, и быть его частью - очень приятно и почетно. Не могу долждаться того момента, когда мы наконец прибудем в Вену"
Ксения Кнежевич - самая молодая бэк-вокалистка в коллективе. Она окончила музыкальную школу и учится в высшей школе дизайна в Белграде. Ксения принимала участие в Сербском национальном отборе Beosong на Евровидение 2013 в составе группы Sky с песней "Magija". Лена Кузманович получила образование в Музыкальной Академии Белграда по классу игры на скрипке. Последние 9 лет она поет в Национальном Оперном Театре Белграда. Она выступала вместе с такими известными артистами, как Хосе Каррерас и Лучано Паваротти. Также она пела на бэк-вокале у множества местных артистов: Желько Йоксимовича, Сергея Четковича, Здравко Чолича, Lepa Brena и др. Помимо живых выступлений, Лена также работала на различных телешоу, в видеоклипах и на производстве музыки для кинофильмов. Ивана Влахович является профессиональной вокалисткой уже 10 лет, бэк-вокалисткой она работает 5 лет. Она сотрудничала со множеством популярных местных исполнителей: Севериной, Тони Четински, Марией Шерифович, Сашей Ковачевич. Также работала на различных телепроектах и рекламных роликах, а также принимала участие в шоу талантов Prvi Glas Srbije. Елена Пайич закончила Бостонский колледж в США, факультет менеджмента. После этого она работала в одной из самых престижных Нью-Йорксих студий - Quad. Она начинала свою карьеру в качестве бэк-вокалистки Hari Mata Hari, а позднее работала с Желько Йоксимовичем, Аной Станич, Кемалем Монтено. Она принимала участие в более чем 200 студийных записях альбомов таких исполнителей, как Мария Шерифович, Александра Радович, Lexington Bend, Lepa Brena и др. Дуня Вуядинович работает в качестве профессиональной бэк-вокалистки с 2008 года, когда она начала сотрудничать с популярной сербской певицей Александрой Радович. С тех пор она работала с Эминой Яхович, Марией Шерифови, Цецей Разнатович, Ацей Лукас, Tropiko bend. Дунья принимал участие в Евровидение 2013 на бэк-вокале у представителей Сербии Moje tri, а также написала английскую версию из песни для Евровидения "Ljubav je svuda" - "Love is all Around". Также она принимала участие в шоу талантов Prvi Glas Srbije и многих других проектах. Черногорская песня для Евровидения 2015 будет официально представлена в субботу, 21го марта в Подгорице, в рамках прямого эфира на телеканале TVCG1. Ненад Кнежевич Кнез исполнит песню "Adio", написанную Желько Йоксимовичем на слова Марины Туцакович и Деяна Ивановича. "Я очень доволен той песней, с которой я буду представлять свою страну, и могу сказать, что мнение тех, кто ее уже слышал, весьма позитивное, потому мы с оптимизмом считаем, что способны достичь в Вене хорошего результата", говорит Кнез. Он также верит в то, что домашняя и зарубежная публика оценит профессионализм всей творческой команды. На следующей неделе также будет снять видеоклип, съемки которого на этот раз пройдут в студии. "Нас ждет множество работы. Мы постараемся сделать все, чтобы продвинуть нашу песню. Мы планируем посетить вечеринки в Амстердаме и Лондоне, их организаторы взяли на себя все расходы по перелету всех участников концертов, " сказал Кнез. "Наше первое желание, показать себя в Вене с наилучшей стороны, и члены нашей делегации, своим опытом и творческой креативностью несомненно помогут реализации данного плана. Мы постараемся покрыть все затраты проекта с помощью спонсоров, которые понимают важность продвижения страны через этот проект". Команда телеканала ORF провела съемку посткарда с Ненадом Кнежевичем Кнезом в "метрополии туризма" Черногории - Будве. "Это был интересный опыт, но только начало того, что ждет нас в Вене," говорит Кнез. "Помимо команды черногорского телевидения я бы хотела поблагодарить за участие в съемке открытки также Почтовую службу Черногории, которая помогла нам, выделив несколько своих сотрудников,". Съемки второй части посткарда, скорее всего, пройдут в следующем месяце в Австрии. Still hurts me what used to hurt. I'm still serving you, my love. I still don't give you to the depths of the water. To sink you into oblivion and say goodbye. But my heart is still pining for you.